Of course outside of celebrity there’s plenty of other tragedy – ongoing wars, displacement of populations, aviation disasters etc. In the political sphere it was a seismic year too – in the UK collectively we decided to vote to extricate ourselves from the EU. Brexit is now in the dictionary I believe, we await to see the full ramifications of that decision, but it saw David Cameron step down and be replaced by Theresa May. Meanwhile in an election between two of the least popular presidential candidates in history Donald Trump ascended to the White House despite getting fewer votes. I’ll never understand ‘democracy’ – ha! But bubbling away underneath tragic events in the personal and celebrity world and a tumultuous political climate there was plenty of good stuff going on too, the arrival of my second nephew tops my not inconsiderable personal list, but of course, in entertainment terms too it was another rip-roarer of a year. 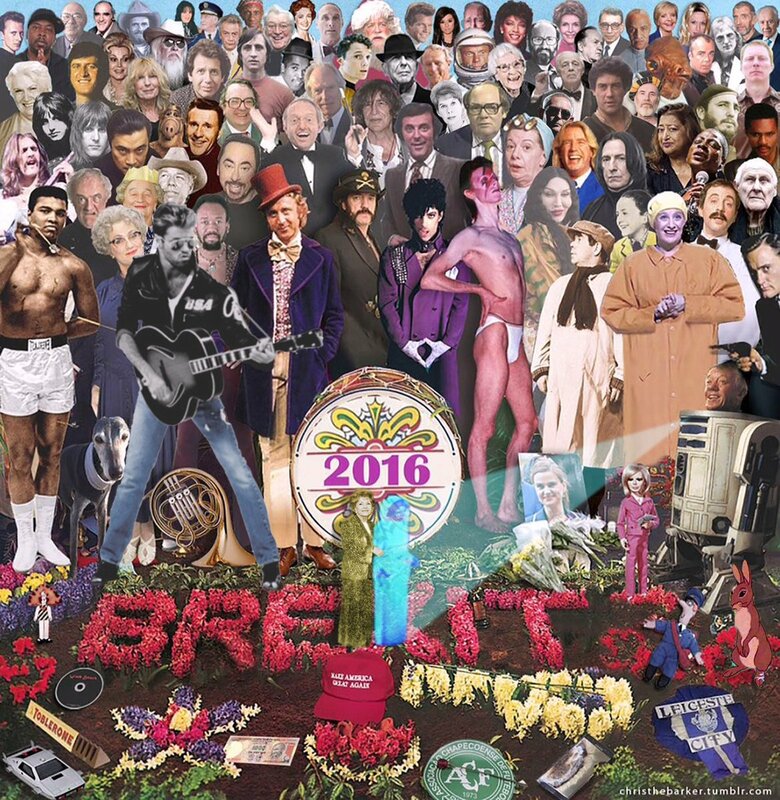 This is a potted view of 2016 – I’m sure I’ll miss loads out and not do justice to the things that I do pick out. You could always have a rummage through the old posts if you want to find some more detail! January is traditionally a bit of a quiet time for gigs and events – we were still basking in the glory of Ferocious Dog‘s sell out show at Rock City at this point, although we did have a gathering for Ella’s birthday at the Black Market Venue which was an awesome night. February gathered pace with a trip to Cardiff for some Dogging, the pushed-back pre-Dogfest and Dogfest events, an awesome Gaz Brookfield gig in Nottingham, a bit of Brad Dear in Newark and finished up with an epic party to celebrate Dave’s 50th! 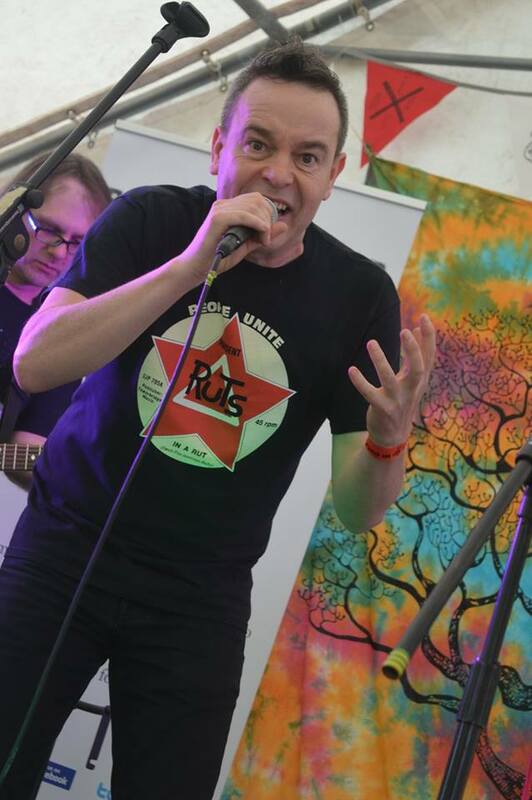 The ides of March started with a trip to Settle for Ferocious Dog, a first ever guest-blog post by Simon covering the gig in Barnsley we missed whilst in Tenerife, before a dual north-of-the-wall trip to Scotland to see Ferocious Dog in Glasgow and Aberdeen. After this I went to see Wolf Alice for the first time, they were briliant. I went a bit political going to a Red Flag Rally, finishing up the month with a bit of Stars Bothering on Sunday. Always fun! 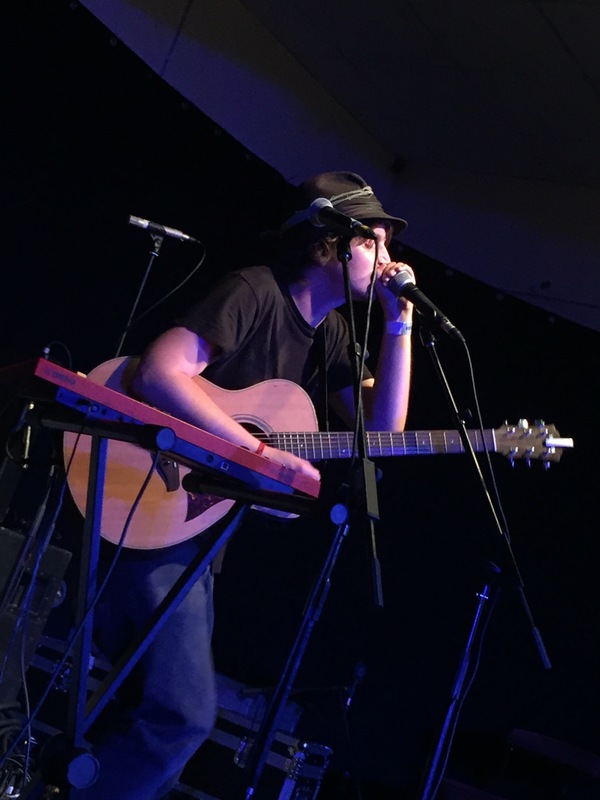 April was a busy old month, it saw the festival season kick off – Rockstock and Rolling out the Barrel warranted not one, but two blog posts – I’m not about to pick favourites in terms of festivals, we went to so many and have so many happy memories! A notable music release too, Paddy Stratton unleashed Finally on the masses, whilst on the gig front we got to celebrate Jamie and Helen’s birthday with a spot of Gaz Brookfield in Ashby. A revisit to Newbury (via West Midlands Safari Park) was a fun day and night, followed up with being sad at going to Sam Jones’ last ever open mic night at The Brown Cow. 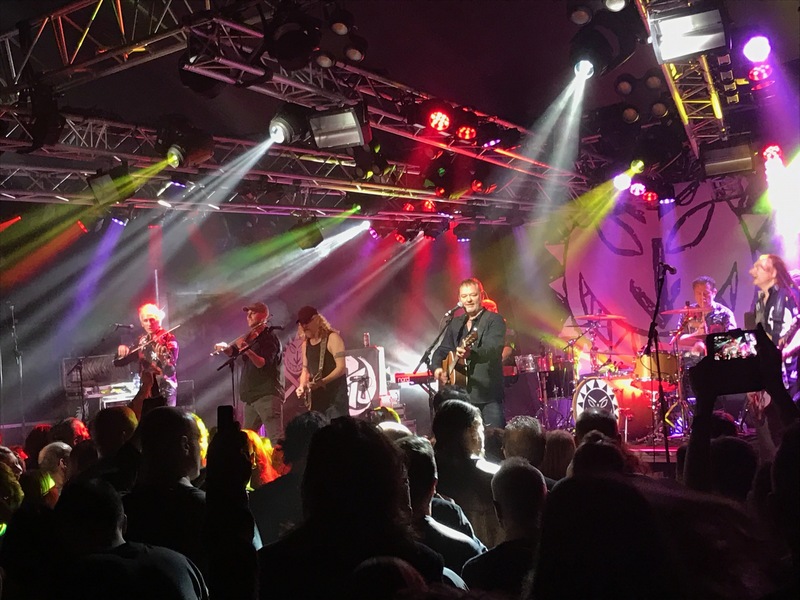 Meanwhile Ferocious Dog had a bit of amazing news to share – snagging a support slot with the Levellers 25th anniversary of Levelling the Land tour. I’d known about this for a while so it was a relief that it was ‘out there’. Gig wise we saw Ferocious Dog in Derby and The Leylines in Burton. Phew. What a month! 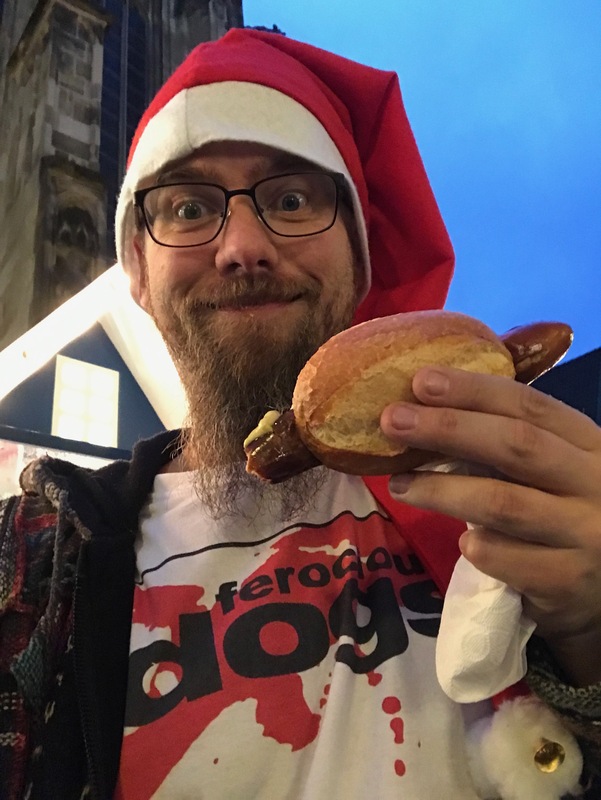 May started with Ferocious Dog in Chesterfield (and some EPIC German food! ), then was followed up with the first ever Ey Up Mi Duck festival (another two blog post event) which was amazing. Also amazing was the long awaited album from The Leylines, which landed in May (and I partly came up with the title of!). That leaves the small matter of Nearstock in East Bridgford and of course the epic that was Bearded Theory – our first festival foray in Ludo the van! June heralds the awesome Something To Smile About festival – wow, what an event. Not one, not two, but three blog posts charted this! Releasewise we had Pete Jackson’s new album, then a trip to Warsop to see Brad Dear – followed up with Sam Jones’ new EP! 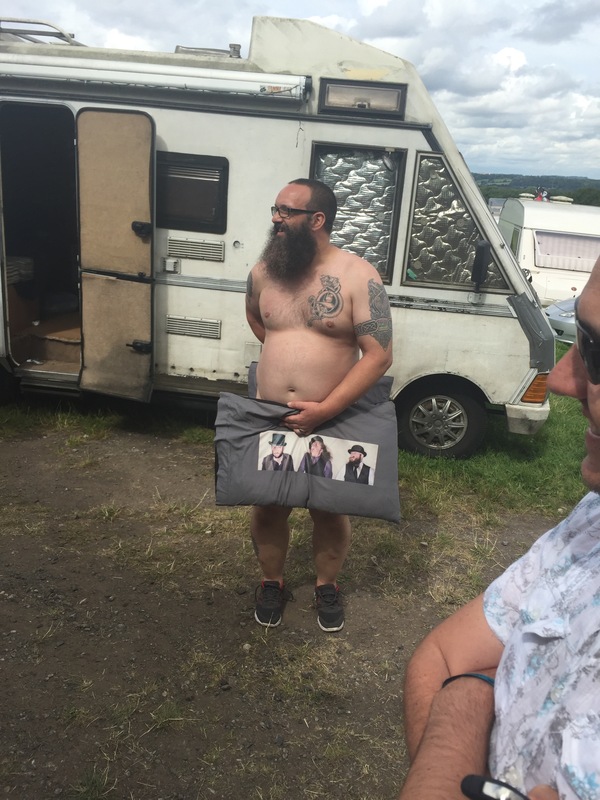 The Bar-Steward Sons of Van Doonican 10th Birthday show in Barnsley will live long in the memory, an unusual stadium gig to see The Stone Roses, then a different Stone released an EP – Brian Stone, of course (actually it was released a while back, but it took me a while to review it!). We finished up a hectic June with a trip to Banbury to see The Leylines, and then back up to Yorkshire for Estival – a splendid afternoon spent in the park listening to great music. Wow, so that’s half the year gone – and what a lot we’d packed in! Of course also in the midst of June we’d have the European Referendum vote – which if nothing else seemed to bring out the worst in people on either side of the debate both in the public eye and on social media. July started for us with a first trip to Roystonbury – we had an amazing time, one for the diary next year, and stretching to not one but two blog posts (the second of which is very hazy thanks to breakfast with Jamie, Paul and Jayne!). In release terms, Doozer McDooze unleashed the splendid Not Going Back To That on the world! Before the festivals kicked in again there was time for a bit of research into Ferocious Dog song Crime and Punishment which has a fascinating back story. Which brings us on to the amazing sell-out Wistful Festival – again, warranting two blog posts to cover everything. Picked up at Wistful, The Silk Road’s EP was out there too, and well worth a listen. 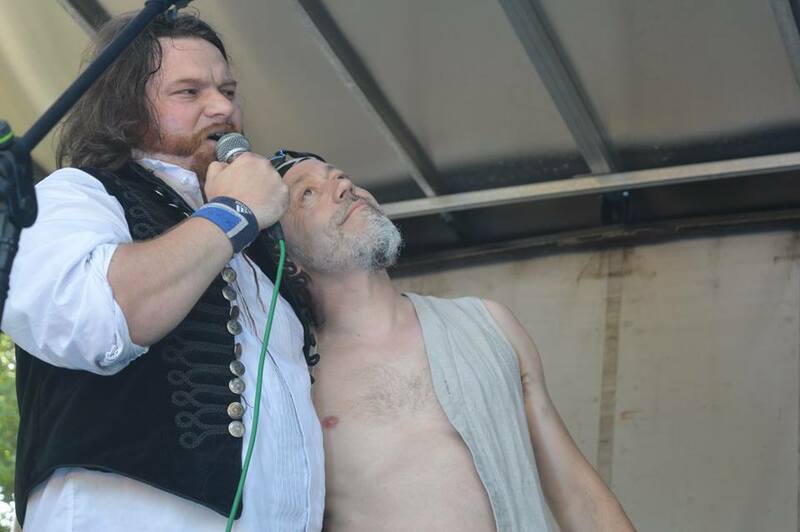 The month was finished up with the small matter of Deerstock, which had not one, not two, but three blog posts – a bloody awesome long weekend as ever. Ian’s bet-losing naked-walk from the campsite to the opening set will live long and disturbingly in the memory for a worryingly long time! 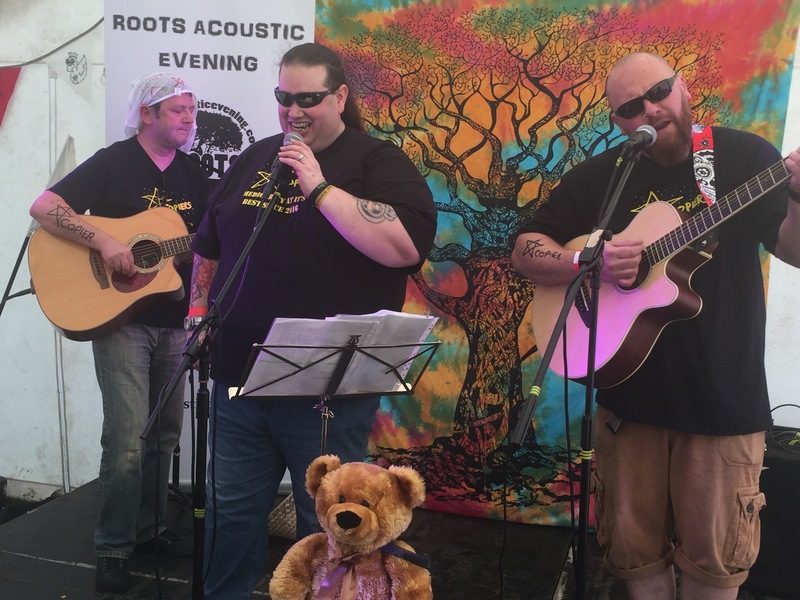 In August we were back up to Thorne for A Midsummer’s Music in the Park, followed by some fundraising for the Lee Bonsall Memorial Fund AND a trip to the Yew Tree in Ednaston to see Scott Doonican, Simon Friend, Mick Doyle AND Dirty Davey. Farmer Phil’s was up next – always a highlight of the year and this one was no exception, I even managed to get my first ever stage appearance on a cajón to play Ruby Bridges with Ferocious Dog – what an honour that was – it’s all chronicled here over three posts (one | two | three). Shortly after a trip to Eastwood saw Mark Jones, Spud, Nick Parker and Sam Jones playing a pub gig – wonderful evening, so much talent on show for the price of a few drinks – with the bonus of a chance to have a long natter with Nick before the gig, and give Spud a lift home which was certainly entertaining! I also found some time to get a review up of the excellent new Headsticks album Feather and Flame which Andrew had kindly given to me at Deerstock. September was a relatively quiet month (good job, I bought a house in September!) 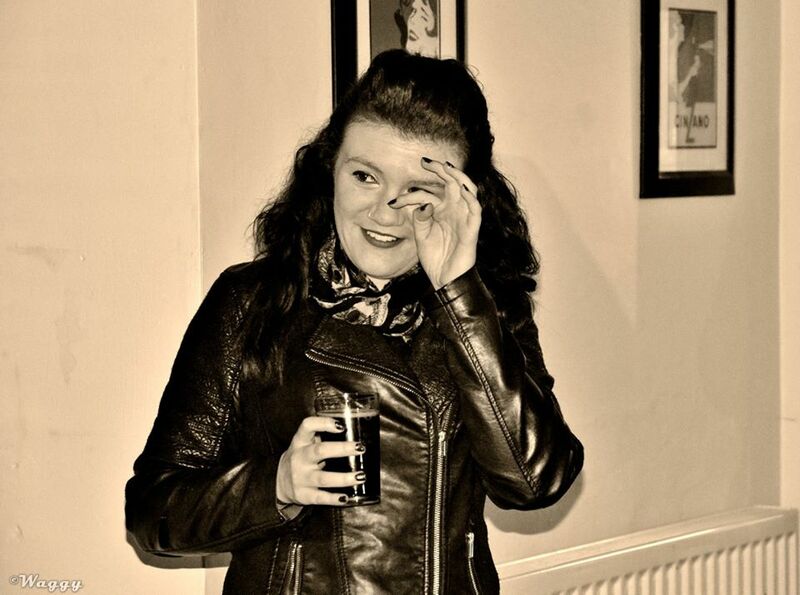 – although a trip to Doncaster for Darren Eastell and the Freaky Fingers EP launch was an awesome evening, it has to be said. Black Thorn’s album had been my soundtrack for the month too, what a masterpiece it is. A wedding of some dear friends (which was amazing!) cut our visit to the Whitwell Festival of Music short to a day, that was a pretty special day though! Finally I’d got my research head on again and done a quick write-up on the background to Funke & The Two Tone Baby song Bella’s Kiss. You might think the festival season has died off by October, not so – we had Rockstock and Barrel, another absolute triumph of an event. 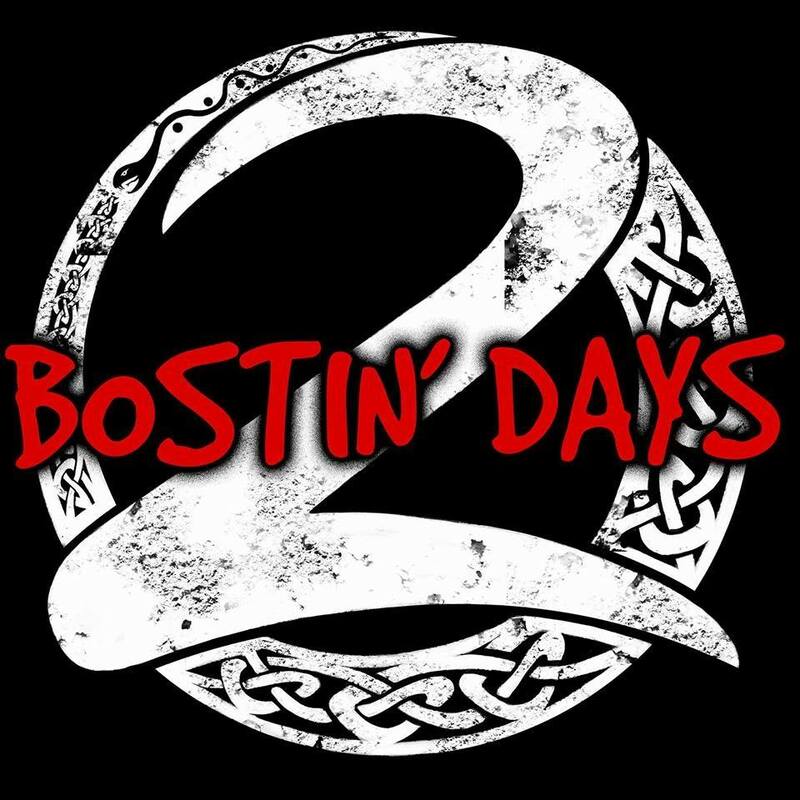 Then of course there’s the small matter of the frankly monumental Bostin’ Days 2 – the pre-night was one of the highlights of the year, and the main event wasn’t far behind! 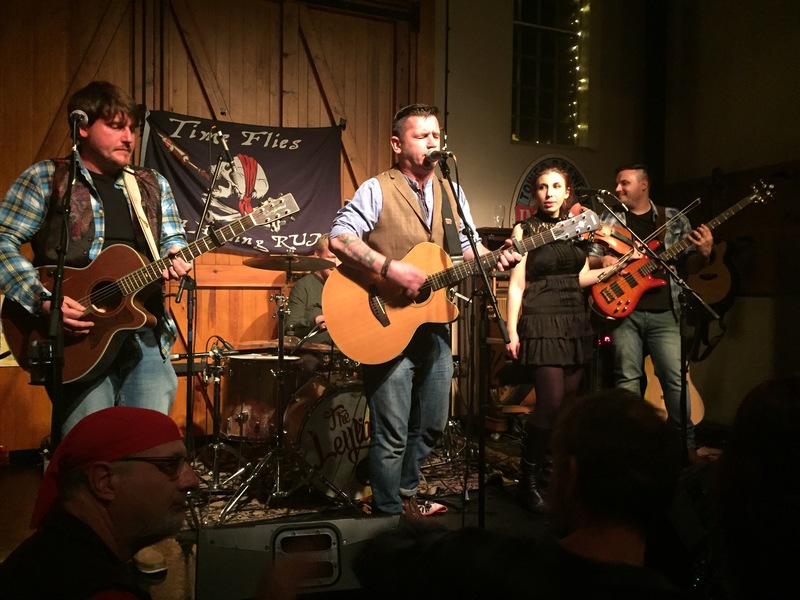 A trip to Birdwell near Barnsley was next for Ferocious Dog, we underwent a bit of escapology – followed up by not one but two helpings of The Fox and the Pirate on their fun-filled tour. November was epic. It started with us playing a gig though, at Brad Dear’s open mic night at The Plough. Next up was a trip to Banbury to take in The Leylines on a ‘northern’ foray, before we were on stage again in Warsop for a spot of Stars Copying on Sunday. Then it was the small matter of an amazing four day odyssey with some of my favourite gig-going folk around Europe – we went to Kortrijk, Duisburg, Amsterdam and Münster for Ferocious Dog and The Levellers. An absolutely amazing trip. I’m gutted I won’t be heading back to Europe for Ferociosu Dog in February. The month was finished up with what I do think is probably one of my favourite ever gigs – Rock City has its problems as a venue, but it’s the one I grew up with an is therefore of inexplicable fondness for me. It was full of so many people I know, and three of my very favourite acts took stage. The intersect in a venn diagram of Gaz Brookfield, Ferocious Dog and The Levellers is definitely my happy place. A special night. It was the only UK date on the Levelling the Land tour I would make it to, and whilst I regret that somewhat – if I could pick again I’d still choose this one and the Europe dates. I would’ve liked to have seen Scott stepping in to drum for the Levellers though (of course I’d rather he hadn’t had to!). What a balls-of-steel hero he is! December saw us have the chance to do a bit of Doozering in Derbyshire, before Nick Burbridge’s Resolved and Gaz Brookfield’s I Know My Place hit my doormat in quick succession. What treats they both were too. 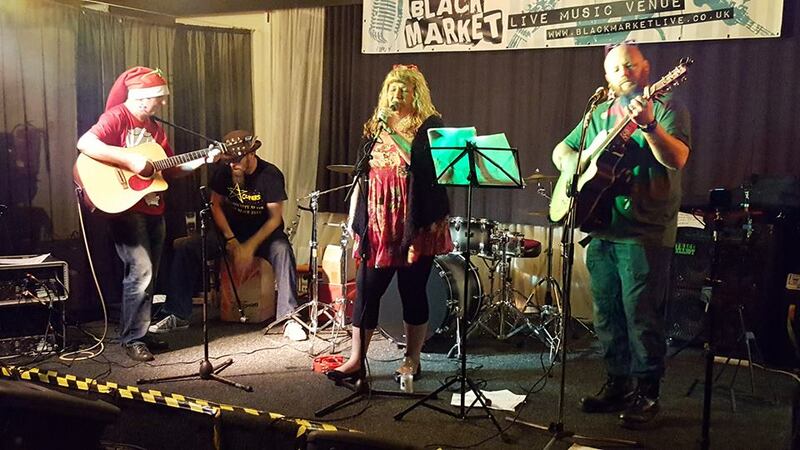 Pre-Dogfest was our last gig to play of the year, and a fun night – followed of course by Dogfest itself, a sprawling day of superb music and company in Warsop. Just when I thought I’d finished with live music for the year I had the bonus of popping in to see Sam Jones and Spud in the Pit & Pendulum in Nottingham to properly finish up the year! Whilst I might’ve started this post on a grumpy note – look at what followed, some truly memorable events – some amazing recorded releases and experiences and events that I’ll never forget (and some maybe never remember – thanks, Jamie!). 2016 might be the year that chroniclers will focus on the losses, and they were certainly significant, but there was plenty of great stuff happening too. 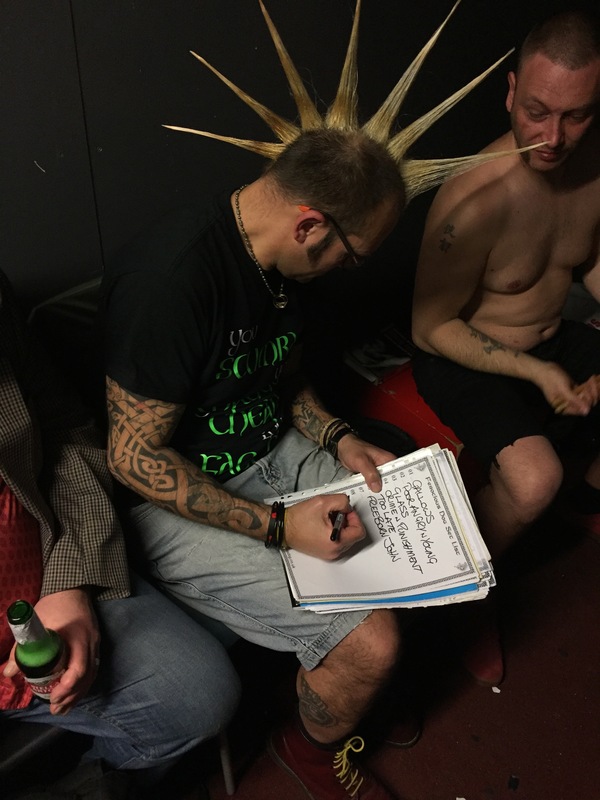 For Ferocious Dog, my principle subject matter, it was a huge year for them – each year that goes on feels like a springboard to the next – long may that continue! Thanks for getting this far – I wish you all a fantastic new year whatever you’re doing and I’m sure I’ll see you at a gig or festival in 2017!